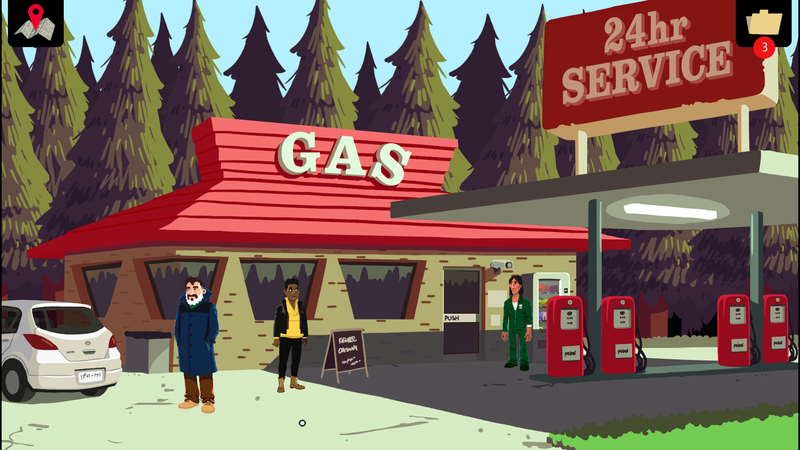 Black Feather Forest is a 2D adventure game inspired by true events and Haida mythology. You play as Sofia, a documentary maker, and together with your cameraman Caleb you travel to the town of Augier’s Peak, up in the wilderness of rural Canada, where three people have gone missing recently. You are free to explore the town, where you will meet a handful of inhabitants who are all tied to this case in one way or another. You gather clues by talking to people and combining pieces of evidence and statements to slowly try to figure out who or what is behind all this. Black Feather Forest is the first full-length commercial game I am putting out by myself. I often get inspired by true stories, and so I like to include some real-world connection in my games, be it a piece of history or an intersting location. When I read about the many disappearances in rural Canada it sparked my imagination, and I came up with the concept for this game, bringing together many threads of ideas for games I’ve had over the years. 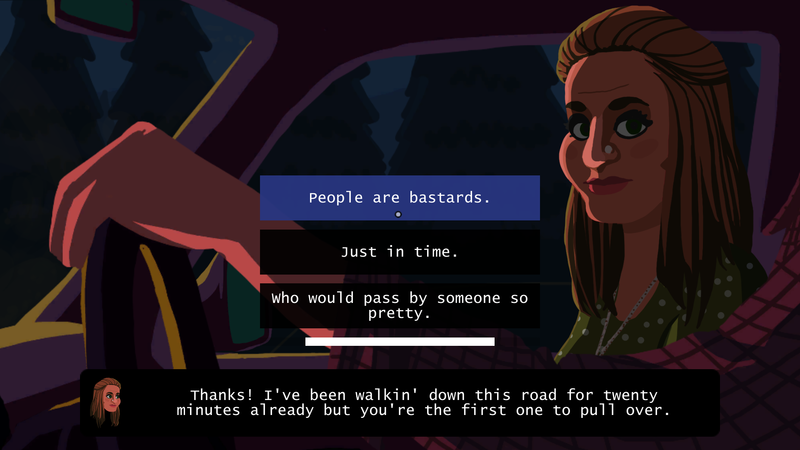 The game draws its inspiration from – among others – the mythology of the Haida people, Kentucky Route Zero, Detective Grimoire, Bright Falls and True Detective. While the story is completely fictional and set in a fictional town in northwestern Canada, I still wanted to research the cultural and societal factors at play that could lead to such events taking place in the real world, in order to treat the subject with the appropriate respect and gravitas. So I read an official Board of Inquiry report which describes real cases in great detail, as well as a host of articles describing the psychology and common delusions of people who live in areas of crime, abuse and isolation. I also reached out to some community members and CBC reporters in Prince George, Prince Rupert and Vancouver to ask about their views on the matter, and contacted a representative from the Haida Council to learn more about their culture, art and beliefs. 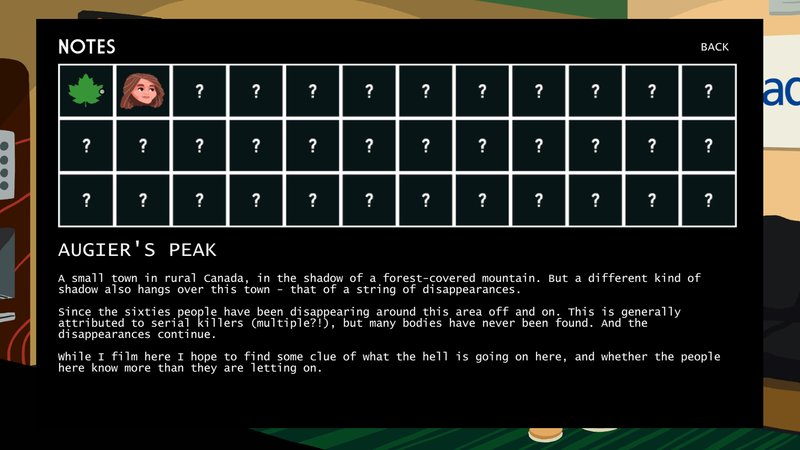 An interactive mystery set in rural Canada. 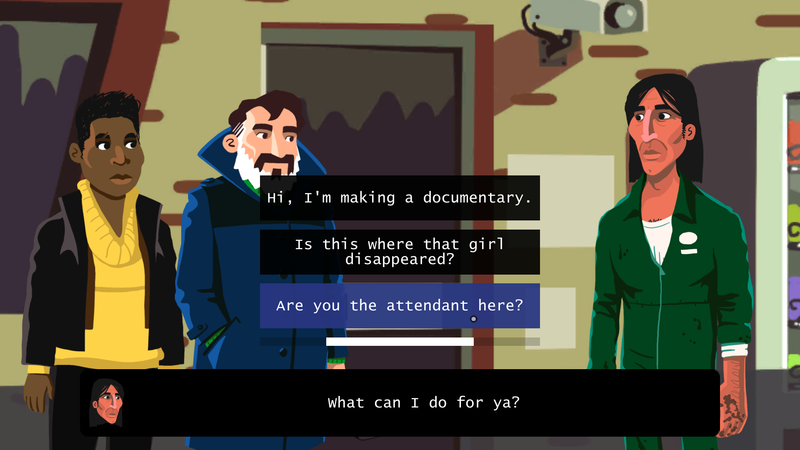 Play as a journalist shooting a documentary about a series of disappearances. Explore the town of Augier's Peak to find the story behind the people that have vanished. Interview witnesses to piece together the timeline of these sad events. Presented in a slick 2D art style. 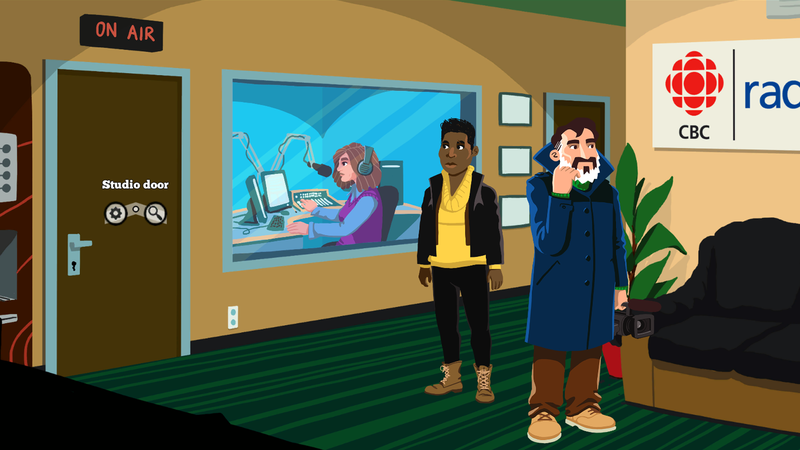 "I’m glad to see a few adventure games with a serious tone emerging from the development mines. Very much looking forward to seeing more of this one." "This is one game we can definitely look forward to." "“Just a game”. It’s this stigma that prevents developers from taking on serious subject matter." Follow the development of the game at hedgefield.wordpress.com . 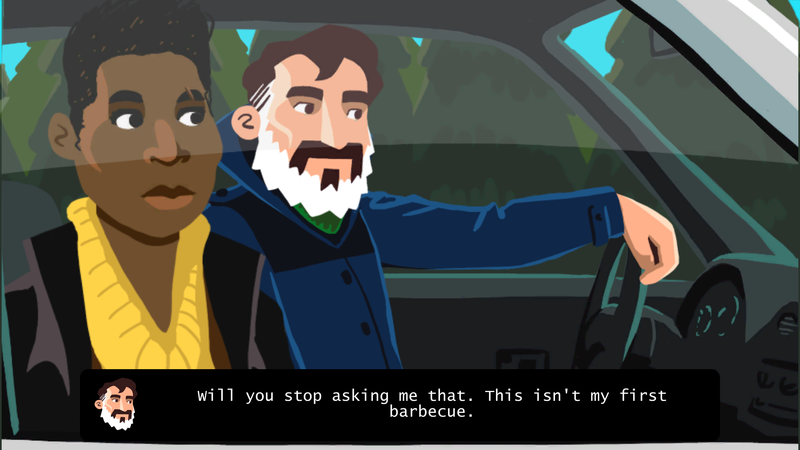 Hedgefield is a narrative-driven game developer focused on making (2D) adventure games, comics and illustrations that tell memorable stories, and maybe help you understand the world a little bit better. More information on Hedgefield, our logo & relevant media are available here.